What Is Porsche Wet Mode? Rain and storms can present a tough challenge when driving. Winds blow you off course, puddles make you slide, and pelting rain makes it difficult to see enough to keep control. 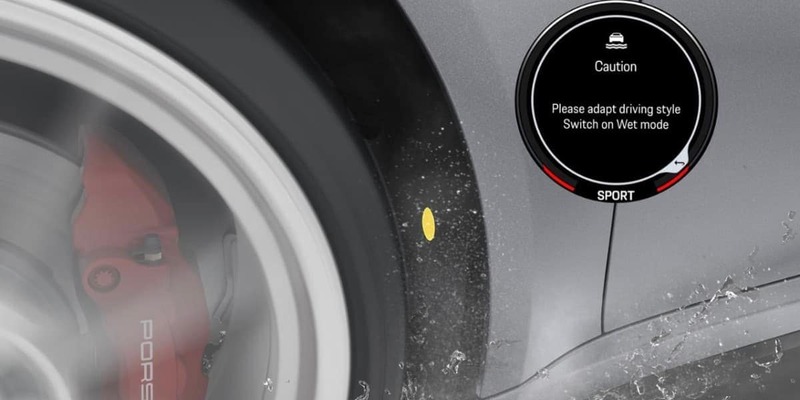 This is why the new Porsche 911 model, the 911 Carrera 4S, uses Porsche Wet Mode. What is Wet Mode? It’s a system that provides incredible assistance to the driver. All that control that storm conditions take away, Wet Mode works to give back. The mode doesn’t take anything away from the driver. It won’t limit speed or the engine’s power. 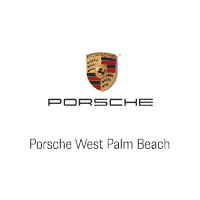 Changing how the car acts would do more to interfere with your ability to drive it, so Porsche Wet Mode instead provides technological assistance to use the Porsche’s full capabilities for control. To start, Wet Mode on a Porsche 911 model detects wet roads and assesses the conditions. Acoustic sensors detect water that’s sprayed up by the tires. This is an improvement on using windshield detectors alone. You can still have a wet road with a risk of aquaplaning even after it’s stopped raining. The acoustic sensors change the behavior of Porsche Stability Management and Porsche Traction Management. These systems will have different presets for different weather types. Their sensitivity is increased and they’ll respond differently than they would in dry conditions. The goal is to maintain the stability and traction that you’d have in dryer conditions. This isn’t full Wet Mode yet. You’ll also see a warning pop up next to the tachometer. This allows you to turn on Wet Mode to its full extent. The choice is always yours. It adapts stability and traction management even further. You’ll also be able to take advantage of Porsche Torque Vectoring Plus. The drive responsiveness will also adjust to increase stability. Anything above 56 mph will also fully extend the variable rear spoiler and open the cooling air flaps. Acceleration will behave in a slightly flatter manner, allowing you even finer control. Even the eight-speed PDK transmission is mapped separately for Wet Mode. The 911 Carrera 4S all-wheel-drive model will shift more drive power to the front axle. All of this has one goal: increase stabilization and handling in bad weather. To shift everything back, you simply turn Porsche Wet Mode off. This may be the most comprehensive approach to driving in wet conditions that will be available anywhere for quite some time. 0 comment(s) so far on What Is Porsche Wet Mode?